German Chancellor Angela Merkel rebuffed U.S. pressure last month to conduct a naval maneuver in Russia’s backyard aimed at provoking President Vladimir Putin, according to three people familiar with the talks. At a Feb. 16 meeting at the Munich Security Conference, U.S. Vice President Mike Pence urged Merkel to send German ships through a narrow channel between the Crimean peninsula and mainland Russia to show Putin that Western powers won’t surrender their access to those waters, according to the officials, who spoke on condition of anonymity. 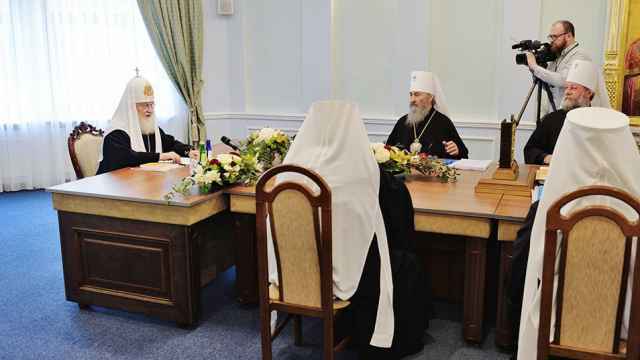 The German leader declined, they said, citing reservations from Ukrainian President Petro Poroshenko. A spokesman for the chancellor declined to comment. Merkel had indicated she was willing, in coordination with the French, to send a convoy through the waterway as a one-time maneuver but Poroshenko said that wasn’t enough to solve his problem — he wants to ensure the strait is open permanently, the people said. France also refused to take part, judging the idea as an unnecessary provocation, according to another official who declined to be identified. 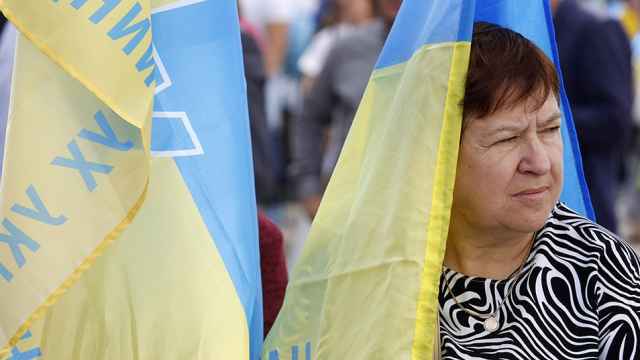 Russia seized Crimea in 2014 and has exploited its control of the channel to choke off access to Ukrainian ports on the Sea of Azov to the north. Last November Russian naval forces fired on and then seized three Ukrainian ships heading through the strait and Putin has brushed off demands from Merkel and France’s Emmanuel Macron that he free 24 Ukrainian sailors captured during the incident. Russia last year completed a road bridge across the waterway to firm up Crimea’s ties to the mainland and is working on adding a rail link. 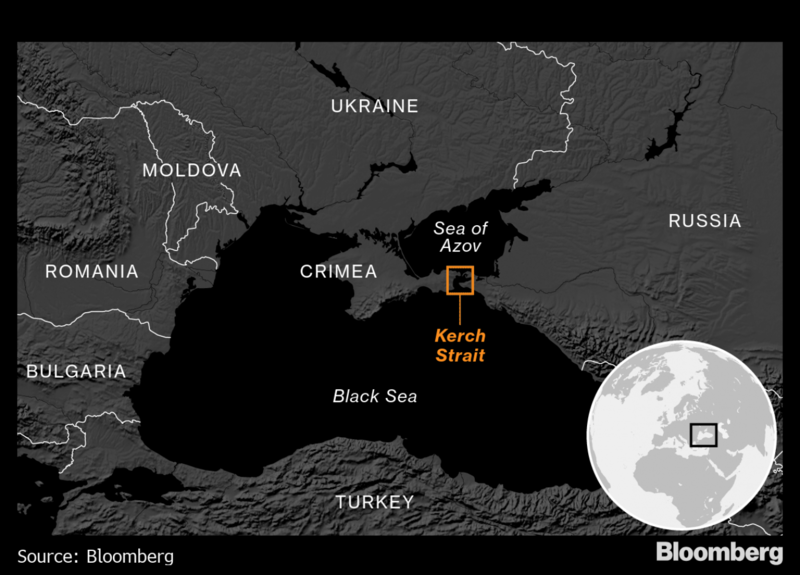 Ukraine has been seeking international help to keep the Kerch Strait open ever since the incident last November. 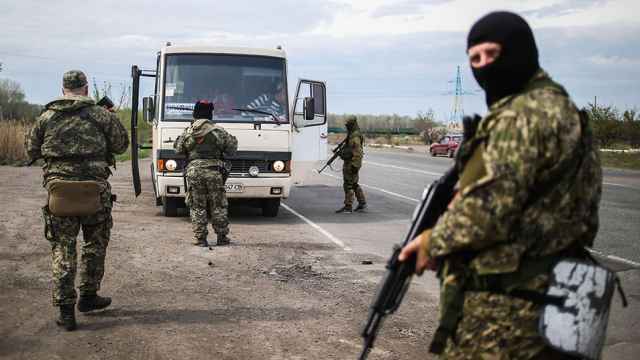 While the government’s position on sending convoys through the strait is unclear, Foreign Minister Pavlo Klimkin warned against using an agreement over its use to legitimize Russia’s annexation of Crimea. The frustrated U.S. plan is a feature of the broader trans-Atlantic tension as President Donald Trump tries to cajole his European Union allies into replacing U.S. forces in hot spots in eastern Europe and the Middle East. Pence’s call in Munich for European forces to ensure stability of Syria after the U.S. withdrawal was also brushed off as were his demands for EU nations to follow the U.S. decision to abandon a hard-fought Iranian nuclear accord. The vice president’s meeting with Merkel at the Bayerischer Hof hotel in the Bavarian capital came just after her most spirited defense of the global order yet. Drawing a standing ovation from senior security officials, she lambasted Trump’s threats on imposing tariffs on European cars as a matter of national security, pledged Germany would reach the NATO spending goal at its own pace, and stick to the Iran accord. The German leader had also observed with alarm an aggressive and coordinated U.S. diplomatic push to halt a Russian gas pipeline, Nord Stream 2. According to people close to her, that was one factor that led her to double down at Munich. The gas link is emblematic of Merkel’s efforts to remain engaged with Putin despite Russian aggression in Ukraine and mounting evidence of its efforts to interfere with western democracy — not least in the 2016 U.S. election. 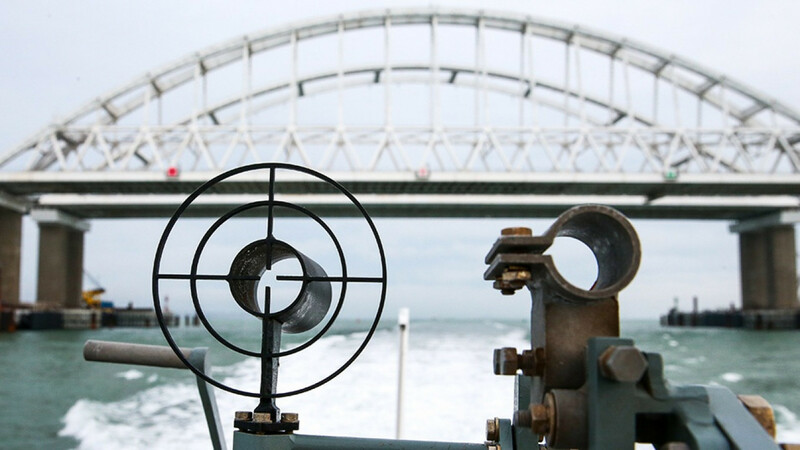 Whether a naval operation in the area would have a legal justification is unclear — a 2003 treaty between Russia and Ukraine determined the Sea of Azov is an “internal” body of water, meaning a third-party military presence would have to have the consent of Moscow and Kiev. The U.S. has deployed the destroyer U.S.S. 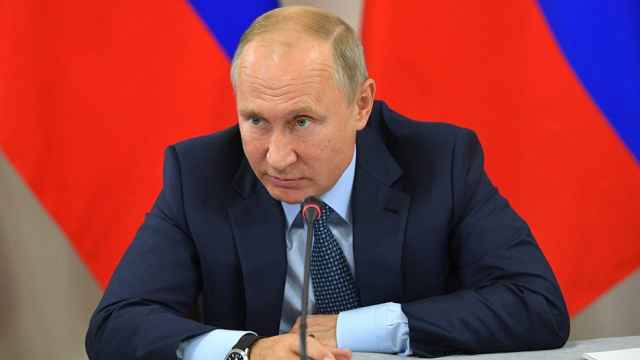 Donald Cook in the Black Sea, to the south of the Kerch Strait, and said NATO and American forces had beefed up their presence to send a signal to Putin.